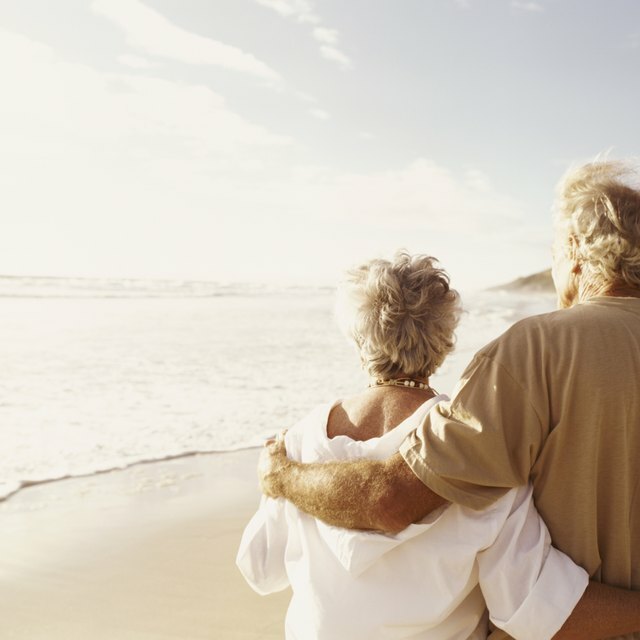 Collecting Social Security early gives you a head start on enjoying your retirement years. That extra time comes at a price, however. When you elect to start benefits before reaching full retirement age, your monthly benefit checks will be smaller. For Social Security purposes, normal or full retirement age is the time at which you can start collecting retirement benefits and get the full amount. If your date of birth was 1954 or earlier, the normal retirement age is 66. If you were born later, add two months for each additional year until the retirement age reaches 67. Everyone born in 1960 or a subsequent year has a normal retirement age of 67. The Social Security Administration keeps track of your earnings from jobs and self-employment throughout your working lifetime. When you reach normal retirement age, the SSA adjusts past work earnings for inflation. The monthly average for the 35 years in which you made the most adjusted earnings is calculated. If you have work income for fewer than 35 years, zeros are used for the years with no earnings. The SSA then applies a formula to your average monthly adjusted income to determine your full retirement benefit amount. You get this amount each month if you wait until you reach full retirement age to begin collecting Social Security. The SSA figures your full retirement benefit based on lifetime earnings as of the date you start benefits. A small percentage is deducted from the full amount for each month you start early, but it adds up. The earliest you can elect to receive Social Security is the month you turn 62. If your normal retirement age is 66, you lose 25 percent of the full monthly amount. When 67 is your full retirement age, monthly benefits can drop by 30 percent. This is a permanent reduction. You can go the other way and delay retirement past normal retirement age. If you defer receiving Social Security, the SSA tacks on an extra 8 percent for every year you wait up to age 70. If your normal retirement age is 66, waiting until you turn 70 to collect benefits means up to 32 percent more money each month for life. After you reach normal retirement age, income from self-employment or a job won’t reduce your benefits, but that isn’t always the case if you get early Social Security. During the early retirement period, the SSA sets work income thresholds. For example, the 2015 threshold was $15,720. You lose a dollar in benefits for every two dollars you make over the limit. The threshold is higher for the calendar year you reach normal retirement age. You lose only $1 for every $3 over the limit. You eventually get this money, however. Starting the month you reach normal retirement age, the SSA increases your monthly benefit to replace that lost amount.